The US backed Syrian Democratic Forces launched a ground offensive Monday to clear ISIS from its last remaining territory in Syria, the US-led coalition announced. “I wouldn’t be surprised if some of ISIS’ leadership is up there,” Mattis added when asked if senior ISIS leaders involved in foreign plots could be based there. The Syrian Observatory for Human Rights said the SDF arrested 29 militants with their families in the nearby desert. Among them was a Yezidi woman who had been held captive. She was freed by the SDF. The Observatory also reported “violent clashes” between the SDF and ISIS on the outskirts of Hajin on Monday, noting the SDF advanced on the town under heavy artillery fire. The offensive on the town “will clear ISIS remnants from Hajin and the remaining Deir ez-Zor countryside east of the Euphrates River,” the coalition announced on Tuesday, confirming their support for their local allies in the operation. While IS leader Abu Bakr al-Baghdadi’s whereabouts are unknown, the SDF believes other “major leaders” are hiding out in the pocket, according to Deir Ezzor military council chief Ahmad Abu Khawla. “Most of the frontline commanders in this pocket are Iraqis,” he told AFP. 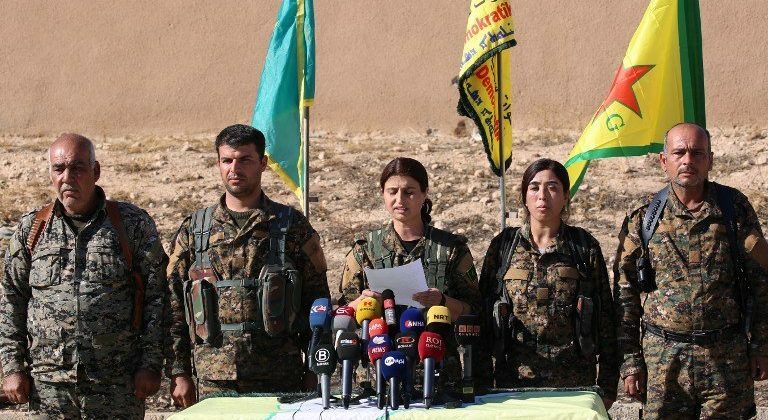 The SDF, founded in October 2015, has been backed by Coalition air and artillery strikes, and special forces advisers. The SDF, which includes includes Kurdish, Arab and other fighters, ousted ISIS from swathes of Syria’s north last year, including from their main bastion Raqqa. In Deir Ezzor, the SDF is battling ISIS on the eastern side of the Euphrates Riverwhile Syrian regime troops backed by Russia battle them west of the river.